The CRTC's low-cost data-only plan decision released yesterday was as unsurprising as it was uninspired. Under CRTC Chair Ian Scott, the Commission has abandoned any pretense of consumer focus, reverting to the days when Canadians perceived the regulator as a guardian of industry interests. The low-cost data-only decision, which is ostensibly designed to address a serious gap in affordable wireless services, will do little to solve the problem. Indeed, even the CRTC admitted that "none of the revised plans on their own would necessarily be enough to fill the gap identified by the Commission with respect to lower-cost data-only plans." 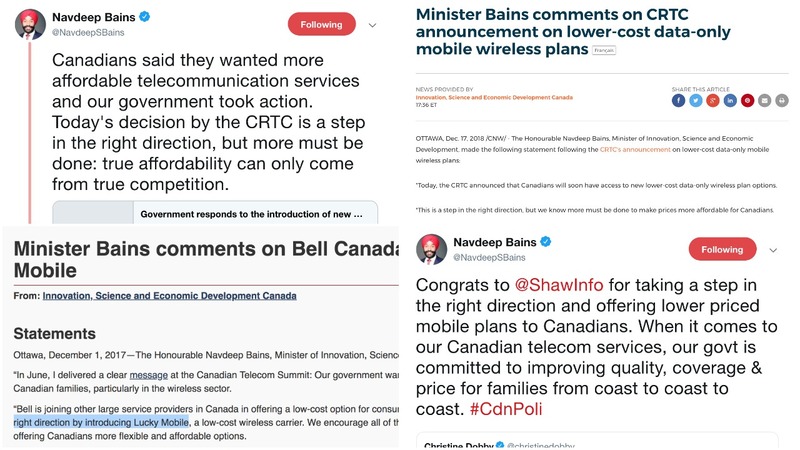 Those revised plans, which CRTC largely supported, would be laughably uncompetitive in most developed countries (as one expert noted yesterday, $30 for 1 GB is not a low cost data plan).